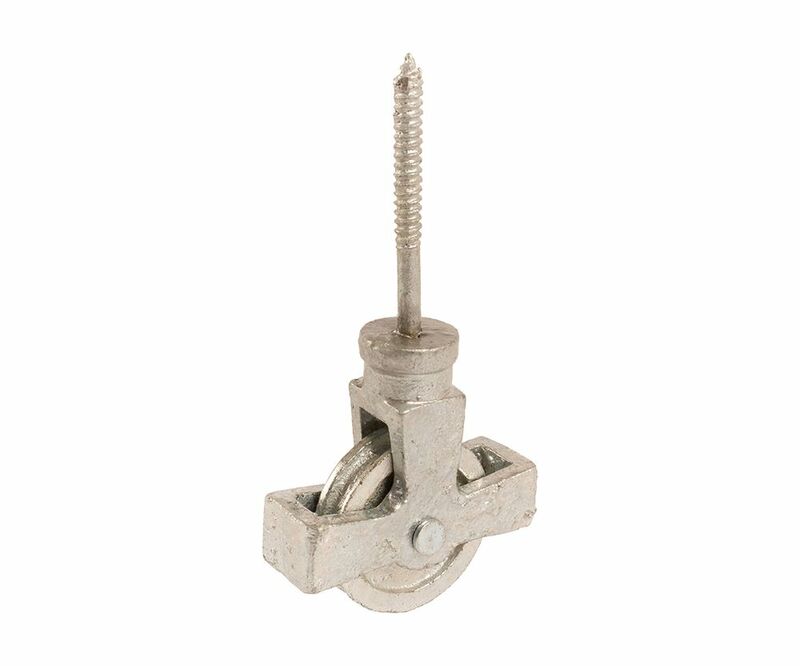 Hardwearing and long lasting cast iron Single Cast Wheel Cast Screw Pulley. Commonly screwed into wood and used for washing lines. The wheel diameter is 44mm and will take rope up to 6mm. Choose from 2 finishes; galvansied or white.